One of the many delicacies you can taste in the Setubal region is the "Queijo de Azeitão", or Azeitão's cheese. It was named after the village where it was born and it is said that only experienced artisans have the know-how to produce this gourmet favorite. Made for generations at the foot of the Arrabida Mountains, the Azeitão’s Cheese is produced from the raw sheep’s milk, the producers only add thistle and salt. The cheese is coagulated with cardoon thistle instead of traditional animal rennet and it has a buttery texture. The cure has the duration of 20 days at least. During this time every day cheeses are turned, cleaned and washed, every time its needed, to keep the crust clean and smooth. The pastures where the sheep of Azeitão graze are lush and covered in herbaceous scrub, giving the milk its characteristically rich and unique flavor. The end product is a thick, smooth, and soft cheese with a strong, earthy aroma. When left at room temperature, the cheese becomes almost a melty yellow cream and it is eaten by using a spoon to take it out and spread it on bread or crackers. It weights about 100 gr. or 200 gr. a piece (approximately 8 ounces). Molded in cloth, Queijo de Azeitão has a rustic appearance that adds to its romance and tradition. All the cheese have a sequential number and an origin certificate. This cheese and a bottle of Moscatel make an outstanding and distinct souvenir. If you never tasted Portuguese cheese before, we guarantee that this is a good place to start. 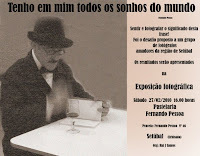 "I have in me all the dreams of the world"
This sentence was written by the iconic Portuguese poet Fernando Pessoa and is now the theme for a photographic exhibition that will take place tomorrow in Setubal. Feeling and photographing the meaning of this sentence was the challenge made to a selection of photographers of this region and tomorrow at 4pm the results will be presented for everyone to see. This is a good opportunity to know more about this region of Setubal and the Portuguese culture and you'll be very welcome. Contact us if you wish to know more details. On the 27th February at Casa da Baia is going to take place the exhibition and conference "João Vaz and Setubal", to commemorate the work of the deceased João Vaz, a well-known painting artist from Setubal. If you're visiting Setubal and want to know more about this region this is an excellent opportunity, since the strong bond between this artist and Setubal is present in all of his works. Most of his beautiful paintings are landscapes of the region of Setubal: the salt marsh, the bay, Arrabida, but he also has some more urban paintings of the city as well. João Vaz (1859-1931) had a very distinct technique and was one of the first painting artists using photographs. Surely an event not to miss. Herdade da Comporta near Setubal is helding from the 17th February and until the 22nd March the most important equestrian event in Portugal, named the "Atlantic Tour", on its 4th edition. For five weeks this “equestrian city" brings together 350 riders from 26 countries, 750 horses and, all told, an estimated total of roughly 5000 visitors and participants. The 8 competitions being held will all count to the world ranking. The region has been steadily attracting more and more horse riders and visitors from all over the world. This year’s event will also have two entirely new sections, Dressage and Horseball. Amongst the world famous riders that have their participation confirmed, are Kevin Staut (France), Penelope Leprevost, winner of the 2009 edition, Michael Whitaker (UK) and the leader of the Portuguese ranking Luis Gonçalves. Spectators can watch the events from close up or, if they prefer, from one of the two restaurants made available to visitors. Portugal is one of the most renowned producers of wine in the world, the country has a long tradition in winemaking, in fact, the history producing wine in this country comes from much earlier than the foundation of its Nationality. The well-known Portuguese wines include Port wine, Madeira wine, red wines, white wines, “vinho verde” and, of course, the moscatel (sherry), of a topaz with red undertones colour. 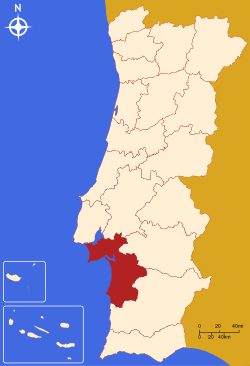 This large area of Setubal, influenced by the proximity of the sea, soil poverty and by low productions is the cradle of Moscatel. The Moscatel wine obtained from the Setubal peninsular region is constituted by the liqueurous casta or grape variety. Pressed and wine brandy added then fermented with the skins over winter. Then aged 8 years on 200 litre barrels before bottled and shipped for sipping. 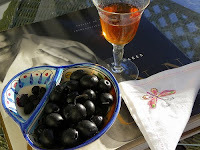 When you're visiting Setubal you must definitely try it!The taste is sweet and bitter at first, clear taste of figs and raisins with nuts and sunlight! Together with a hint of tannins on the mid palate. Back end is sugar and plum marmelade and a little pepper feel and also a dry feeling to balance all the sweet. Tip: Try it with a chocolate dessert. It was recently announced that the World Sailing Match Racing Tour is scheduled for Troia between 22-27 June, named "Troia Portugal Match Cup". This event is the world's leading professional sailing series taking place each year in 4 continents, being sanctioned by the International Sailing Federation (ISAF). The 2010 tour schedule will comprise of the same nine events as 2009, and Troia being one of the usual sailing hot spots, is again this year part of the calendar. Each event lasts 5 days with racing held as close to shore as possible for a unique spectator and hospitality experience. If you plan to spend your holidays in Troia and love sailing, this is a wonderful chance to make the most of your holidays in this region. A chance you can't miss! Water sports: These include surf, swimming, scuba-diving, sailing, fishing and windsurf. 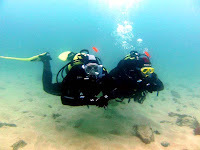 There is a sailing school and a scuba-diving school where you can rent a sailing boat and equipment and also have lessons , with a range of classes for varying abilities. Troia was the host of the 2009 ISAF World Sailing Troia Portugal Match Cup. Golf: The Troia Golf course is considered amongst Golf players to be one of the best top golf courses of the world and was considered by “Golf World” magazine to be one of the best 100 Golf courses of Europe. Robert Trent Jones Senior designed the course and it opened for play in 1980. The 368-metre par four 3rd is one of the finest sea holes in Portugal but there are more stunning holes in this course. The holes are laid out on the dunes whilst magnificent pinewoods line most of the fairways on the inland side. The course is challenging but whilst playing the player has charming views across the sand to the magnificent blue Atlantic. There are also Golf lessons available. Nature: Mountain biking and nature walks are good options if you like being surrounded by nature. And with Arrabida near, it will be a real pleasure. The Arrabida Mountain range soon will be considered world heritage due to its beautiful nature reserve.This location is perfect if you’re looking for the tranquility and peace that only the contact with nature offers. If you want to know a bit of history as well, you can also visit the 16th Century Roman ruins in Troia. Whatever your choice don’t forget to take your water bottle and your camera with you! Football: Being the homeland of Jose Mourinho, this place couldn’t miss having football fields. There are 3 in Troia for you to play and why not making a visit to the local football team “Vitoria de Setubal”, where Mourinho started his career as a football coach? Beach sports: Running and beach volley are only two of the sports you can practice in the more than 40km of white sandy beaches in the Troia region. Contrary to the Algarve, the beaches are not crowded so you can truly enjoy your activities. Bowling: There are 6 bowling lanes in Troia and its combination of fun, facilities, staff and service makes the bowling a good choice when it comes to choosing a leisure activity for a great time out during your holidays.The difference is striking! Emerge yourself in a land of history and natural beauty. 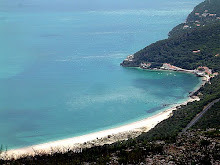 Since 2002 that Setubal is part of the list "The most beautiful bays in the world", an organisation that only 30 bays in the entire world are part of. To be in this very selective list the location needs to have quality beaches and good conditions for nautic sports. 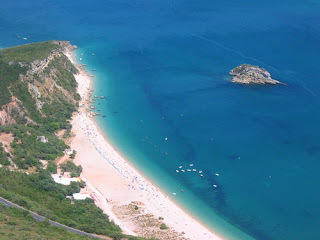 Setubal has this and much more. Homeland of Jose Mourinho, it was here in the city of Setubal where he started his career coaching the football team of "Vitória de Setúbal". Despite being currently far away from his homeland, Mourinho keeps Setubal in his heart and who visits the city easily understands why. So what Setubal has to offer you? 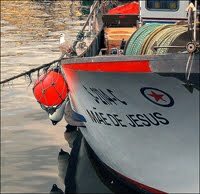 - In Setubal the urban life happens side by side with the tranquility of the Sado estuary. Today, Setubal is at the heart of the Portuguese sardine industry and is famed for it’s sweet and globally acclaimed moscatel wine. If you feel like tasting a good Portuguese fish dish, here is the right place to be. And if you fancy something sweet afterwards, try the famous "Tortas de Azeitão" or the not less famous "queijadas". - Setubal's pedestrian streets, fountains and gardens lend it a certain grace, although its still very functioning harbour certainly dominates giving it the feel of a still thriving historic town. Setubal lies at the mouth of the river Sado on the coast just below Lisbon and opposite the beautifully sandy peninsula of Troia. On the inland side of this Peninsular is the semi-submerged ruins of the Roman town of Cetóbriga. If you wish to experiment a truly historical visit, Setubal has much to offer. - The 16th Century Cathedral "Santa Maria da Graça" has beautiful tiles from the 18th Century. The "Igreja de Jesus" is a remarkable Gothic church with its interior columns carved in Arrábida pink stone from the nearby quarry. The architect Diogo Boitac designed this wonderful example of Manueline style in 1494. "Museu de Setubal" is to be found in the "Mosteiro de Jesus" and it has many religious items and painting. Part of the collection is dedicated to the famous 18th Century Portuguese romantic poet Bocage. - Setubal is an active city with many outdoor activities taking place. Just look at the river on a weekend day and you'll see the number of fishermen, people canoeing, sailing, or practising windsurf. Several sports like cycling or mountain climbing are also very popular, or you can simply take a walk on one of the several beautiful public gardens. 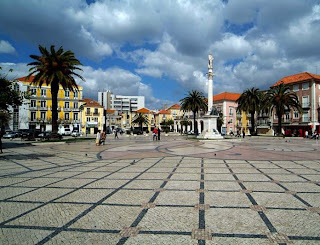 If you decide to spend your holidays in Troia, you must definitely visit the city of Setubal. It will make you feel "at home". This region has been a major touristic attraction for many years due to its excellent location and many, many options available. Although a touristic place, it is also quiet and peaceful and here you're surrounded by mother nature: from one side you have the Atlantic ocean and white sandy beaches, on the other you have the 500-metre high Arrábida Mountain range, which soon will be considered world heritage due to its beautiful nature reserve. Here you can breathe in the fragrance of pine groves or also acquaint yourself with the golf course fairways. A unique, unspoilt place offering unforgettable experiences. Here, sky's the limit. - go on a boat trip and you may be able to see pink flamingos flying above you and lovely friendly dolphins swimming below you. Truly an experience you'll never forget! 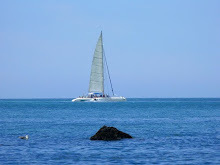 - Sailing, diving and kite-surfing are also activities you can enjoy here. And to end a perfect day in Troia, and before you taste the wonderful Portuguese cuisine, why not watching the sunset on Melides Beach? They're friendly, cute and crazy about children. They're a family of resident dolphins that live in the Sado estuary called "bottlenose", a very common specie of dolphins. We all love to see dolphins and for many people the only way to do this is by visiting an aquarium. In Troia you have the opportunity of seeing them in the wild. Each dolphin has been identified and has a name. There are at the moment 3 baby dolphins, 5 teenagers and 17 adults. And how are they identified? Using the appearance of dorsal fins to identify dolphins in the wild. Like a human fingerprint, there are no two dorsal fins that are exactly identical. Each has its own unique shape, height, thickness, and notches. 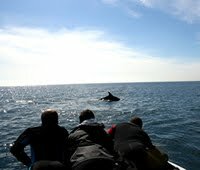 They are very happy to interact with people so if you're on a boat trip you might get the chance of having them making you a visit. They're so happy to see people that when they're at surface they like to show what they can do like graceful jumps, jumping anywhere from 15 to 30 feet above the water. They use side-flopping and upside-down lobtailing to communicate motivation. They are a font of serenity , uplifting the spirits of everyone around.